Brainwashed - Luciernaga, "Alive in Dark Rooms"
Alive in Dark Rooms is the third live release from Joao Da Silva’s Luciernaga project, following two equally limited, handmade CDs from 2015 and 2017. Compiling four full performances between 2017 and 2018 it functions not only as a snapshot of how the Luciernaga project translates to a live setting, but also is a brilliant overview of the different styles and approaches Da Silva has been working with these past years. At times meditative and beautiful, and at other turns dark and harsh, it is a superb document of his recent work. In a live setting, the Luciernaga sound is not one that is drastically different from his studio releases, with the only obvious point being their longer durations and structure. Much of the non-live work Da Silva has released previously is likely improvisations captured in the studio and then edited down/cleaned up as needed. So in these live performances, the only difference is their long-form nature, the fact they are recorded with just a portable recorder in the room, but also the presence of an audience. Given the fact Da Silva prefers to play small spaces with largely groups of friends and fellow artists, I can imagine that their presence is a positive force, at least in the case of these shows. The first performance, "Dirge" (Ridgewood NY, 2018) captures more of the lighter, ambient side of Luciernaga. Da Silva slowly weaves together various loops, building them up but keeping them spacious in sound, making for a rich yet subtle mix. Soon more overt guitar droning and what almost sounds like a sustained chanting voice are mixed in, bringing a stoic, almost sacred minimalism feel to the piece. As the 20 minute performance continues, Da Silva places more emphasis on the melodic sounds in the mix, eventually taking the focus in an icy, shimmering, powerful, yet mournful tone to conclude the performance. "Untitled" (Charlottesville, VA, 2017) has a dirge-like quality to it, but on the whole follows the previous performance in a more melodic, tonal approach. There is a slowness to his playing, but one that is pleasantly spacious. Again Da Silva takes his time before introducing slightly more conventional guitar sounds to the composition. Here the sound is less effected in comparison, focusing more on the traditional tone of the instrument, but elongated with ebow-like sustain. On the whole it is largely a light, drifting piece with some more commanding guitar performances, making for a nice balance between two extremes. However, with the murder of Heather Heyer just a couple of weeks later in the same city, I imagine Da Silva’s performance would have been drastically different had it been a bit later on. 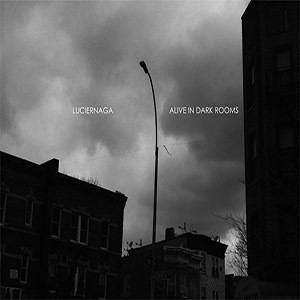 The other pair of performances on Alive in Dark Rooms capture the bleaker, more grim side of Luciernaga. The short (just a bit under 10 minutes) performance of "Raga for LMC" (also recorded in Ridgewood NY, in 2017) immediately opens with a darker, vaguely sinister midrange hum. The swells in volume are a bit more intense here, and while Da Silva's guitar work is a bit more musically melodic, the effects and overall feel of the piece have a profound depressing quality when compared to the previous two shows. Finally, "Untitled" (Maspeth NY, 2017) begins with an immediate sense of bleakness. Various sounds expand into a frigid, open space that, while beautiful, is anything but inviting. 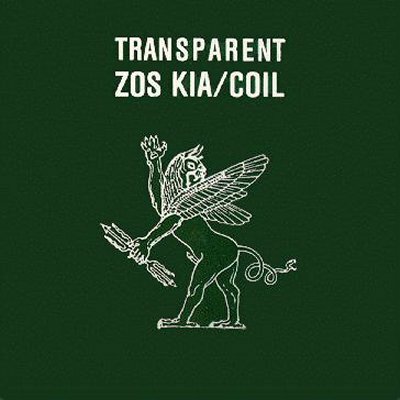 Soaring guitar sounds cut through the cold, empty mix with a distinctly beautiful quality to them, but the dreariness never subsides. Eventually what beauty remains in the piece is stripped away, becoming more ugly and almost violent in the closing minutes of the performance. Sitting alongside his studio works perfectly, Alive in Dark Rooms is an exemplary release that brings the more spontaneous elements of Joao Da Silva’s work as Luciernaga to the forefront. It may be a subtle impact, but I feel that part of the variation, besides the inherent long form structure to the performances, would be the presence of an audience. It is never an obvious thing: only rarely on these four performances do you even hear any clear evidence of other people present for recording and then it is only a bit of dialogue at the very onset. However, it surely impacted Da Silva’s playing, and whatever the influence was, makes for four complex, multifaceted compositions that stand just as strongly as any of his studio material.